The executive order (EO) being demanded and which was drafted by labor groups themselves for President Duterte to sign is a political decision to make, the militant Partido Manggagawa (PM) said in a statement sent to media following the cancellation of today’s scheduled meeting and supposed signing of said EO. 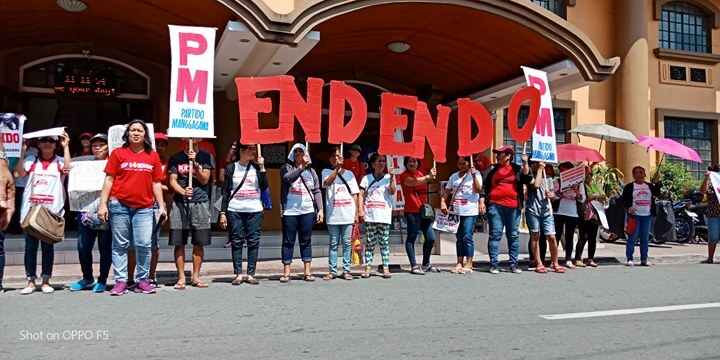 “By deciding to cancel and opting not to sign the labor version of said EO, the President is actually pressing the stop button of the anti-endo momentum,” stated PM chairman Renato Magtubo. Magtubo said the supposed end game for endo is getting more confused as the President fails to exercise strong leadership on this issue by allowing his underlings at DOLE and DTI to shop for last minute excuses to practically deny the workers’ right to exercise security of tenure under a direct-hiring employment relationship with their principal employers. “Secretary Bello’s latest excuse that the President was contemplating on certifying the senate bill on endo rather than signing the proposed EO is a lame excuse as the two measures actually compliment rather than contradict each other in realizing the objectives of ending the epidemic of contractualization,” said Magtubo. “Magtatatlong taon na itong pinag-uusapan. Ngayong end game na, iniiba na naman ang usapan,”lamented Magtubo, referring to Bello in particular who is fully aware of the bottom line positions as well as the level of flexibility organized labor had exercised during the long process of consultations. Magtubo added that the EO is important at this crucial moment so that Congress can be guided by the political action and position of the President. Thus, the group is asking why on many controversial issues, the President is known to exercising absolute command but on this issue of contractualization, legalism and bias to endolords were obviously in full swing. Labor Day is fast approaching and it looks like mass protests will define the day as the administration’s promises on endo and the abolition of provincial rates on wages remain unfulfilled.